One of the main pillars on which the corporate world thrives is the process of evaluation. It is mandatory for each and everyone to evaluate one’s self for an overall idea of what he/she has achieved for the company and it also gives a clear sketch of the shortfalls which have to be overcome. The Sample Evaluations process can also help the candidate to get a clear hold of his/her professional life. 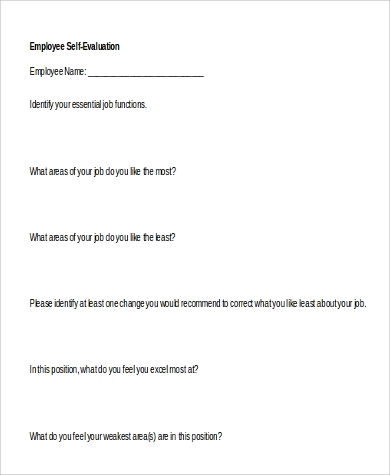 The following list contains sample employee self-evaluation types. The format which is going to help your employees to evaluate their year-long performance, with all its success and failures; comes under this header. It helps to give a complete understanding of a person’s performance. 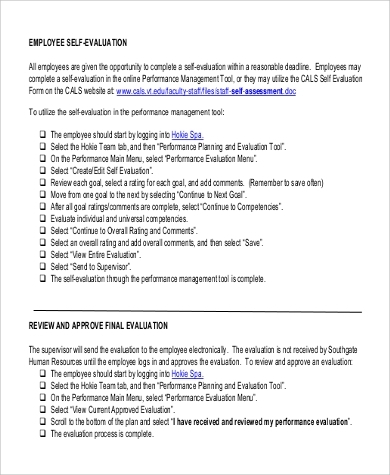 The checklist which enables the employees to brainstorm their performance is right under this header. The checklist sample gives you a fine idea about the effective format which is going to help you. 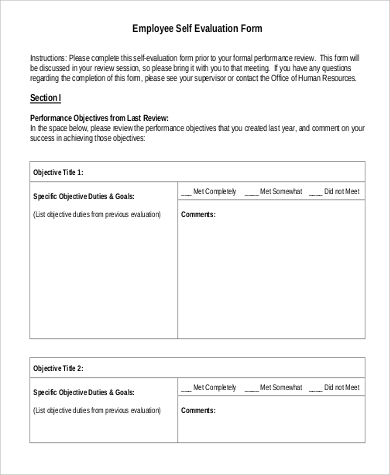 This sample will guide you about the effective format of an annual self-appraisal document. 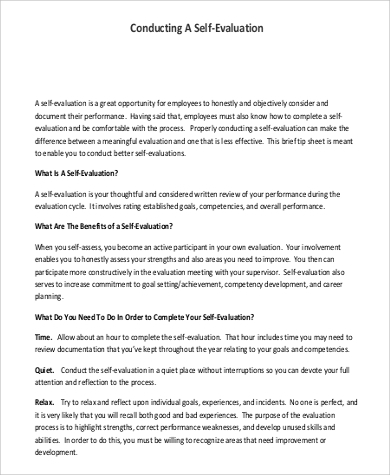 It contains all the necessary headers which are required for an effective annual self-evaluation. And thus it becomes an effective rather than a routine process. Employee Self-Evaluation Forms From time immemorial, the wise has preached and shown self-evaluation as a power which can work miracles in one’s life and others. Self-evaluation actuality opens up someone to face the tasks that he/she has done in the past; it generates courage in a person to face the consequence of what he has done. He has to incorporate the power in him to face the right and wrong, success and failure. In one’s career, it is crucial to be strong enough to take responsibility. And this inward strength comes from the practice of regular self-appraisal. It must be an essential quality of a person to assess his self. An employee should be able to evaluate his or her performance, and take necessary lessons from it for overall growth and development. A detailed and comprehensive self-study is one of the key ingredients of success. Employees should be trained to write a detailed account of their achievements as well as failures with an open heart. This drill is essentially a life drill, a technique of betterment of one’s personality. Anyone who wishes to move forward and advance to a better place than today is bound to get benefit from it. 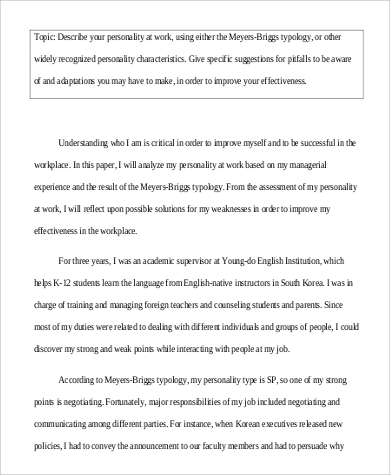 Our sample self-appraisal examples give you an insight into the types of exercises that one can do. 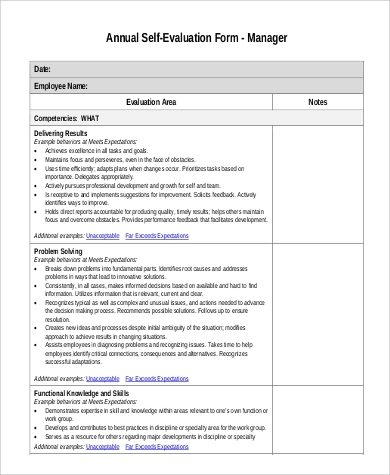 The Sample Employee Evaluations process will enable an employee to judge himself/herself, get to know himself and get a comprehensive idea about what he/she has done in the highlighted time frame. Most importantly, he/she will get all the necessary information to state his/her contribution towards the growth of the company. 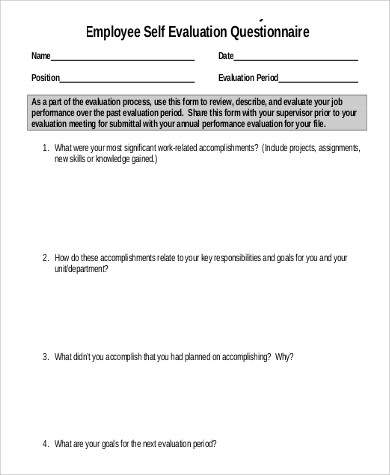 Self Evaluation Samples is a time tested technique to assess the performance of an employee all by himself/herself. It is both ways beneficial. On one hand, it will help the employee to clearly get a picture of his/her contribution towards the company’s success, and on the other, he/she will get a clear picture of his/her personal strengths and weaknesses.